Home» Garrick News » PM gets 4 STAR Vote! PM gets 4 STAR Vote! 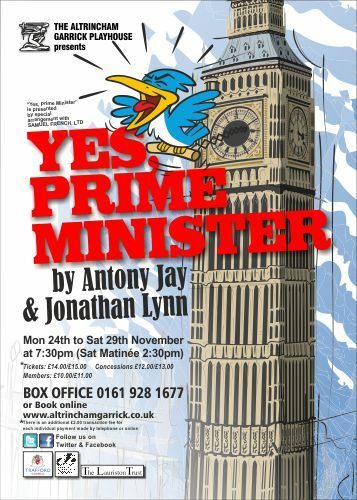 We’ve had a wonderful 4 STAR review for this week’s production of ‘Yes Prime Minister’ which opened last night. Tickets sales are already high, after last nights almost FULL HOUSE, though we have plenty of seats available for our 2:30pm matinee on Saturday. Please see our website HERE?for the full cast list and production photos (which were published yesteday).